Klip Gallery: HubSpot – How can we help you today? HubSpot is a digital marketing platform that facilitates social media marketing, email marketing, content management, web analytics, search engine optimization, and more. 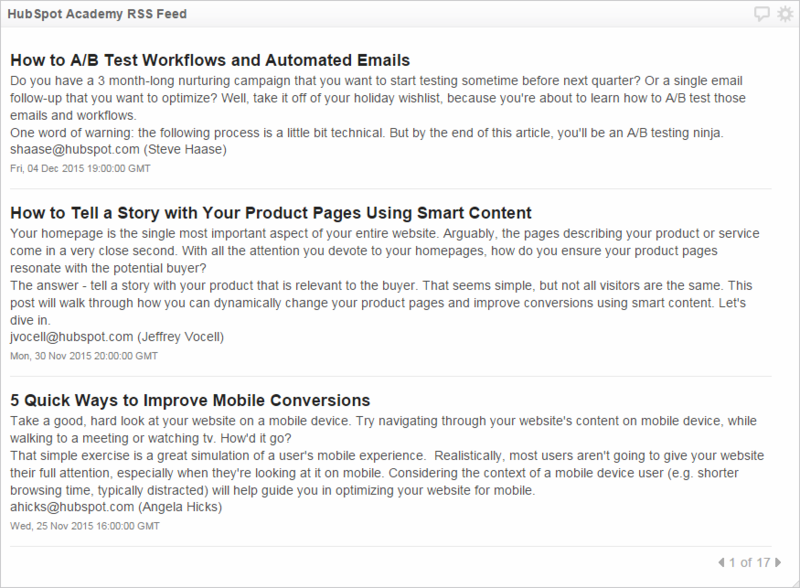 Get the most recent how-to posts, customer stories and product updates from HubSpot. Plot the number of the email recipients that either unsubscribed or bounced within the past 30 Days. Compare your top 10 keywords with the number of visits they generate. Compare your top 10 keywords with the number of leads they generate. 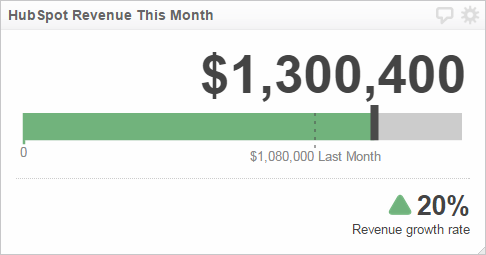 Track your total revenue this month, and compare it to last month and your revenue growth rate. Track your Hubspot calendar events for the next 7 days. Use this at-a-glance chart to track when your latest blog posts came out, and what their topic was. 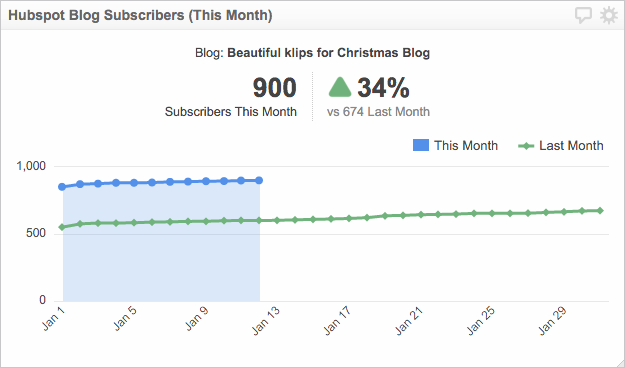 Select one of your HubSpot lists and see how it has grown over the past 30 days. Track the number of subscribers for this month and compare it against the last month subscribers count. Make sure the form on your chosen landing page is generating leads. See where your leads are coming from this month and compare submission success rates for each source. 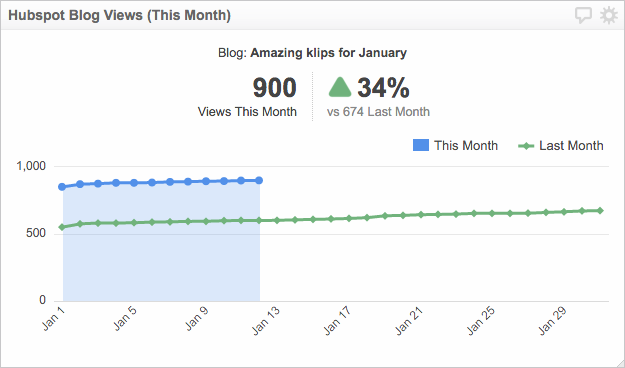 Compare how many people looked at your blog this month and last month, and use the handy indicator to quickly see if the percentage of views is up or down. Track submissions on your chosen landing page this month. A quick and easy report on the status of a landing page, featuring a list of key landing page metrics for this month. You will need your Hub ID and HubSpot login credentials. Log in to your HubSpot account. Your Hub ID is located at the top right corner of your screen. Copy your Hub ID and paste it into Klipfolio. Click Connect an Account and login to HubSpot.